View More In Leg Exercisers. 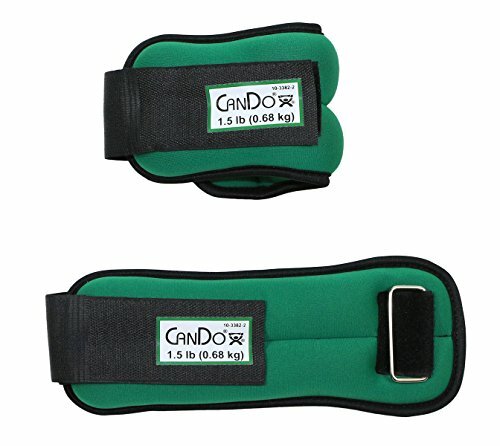 The CanDo Weight Straps are perfect for aerobic and fitness core training. They help increase strength and help tone arms, wrists, shoulders and ankles. The soft, comfortable material will not slip off your wrist or ankle. These straps have a durable covering with padding. The hook/loop strap with D-ring closure allows for a snug fit. These 1 1/2 pound weights are green in color and come as a pair.